Excellent meal and Carlos is outstanding. Blond waitress and the bar people are way too pushy for tips. Katherine’s was extraordinary. The lamb chops were the best we’ve ever had-tender & well seasoned. The Chilean sea bass was buttery, super flakey & beautifully presented. 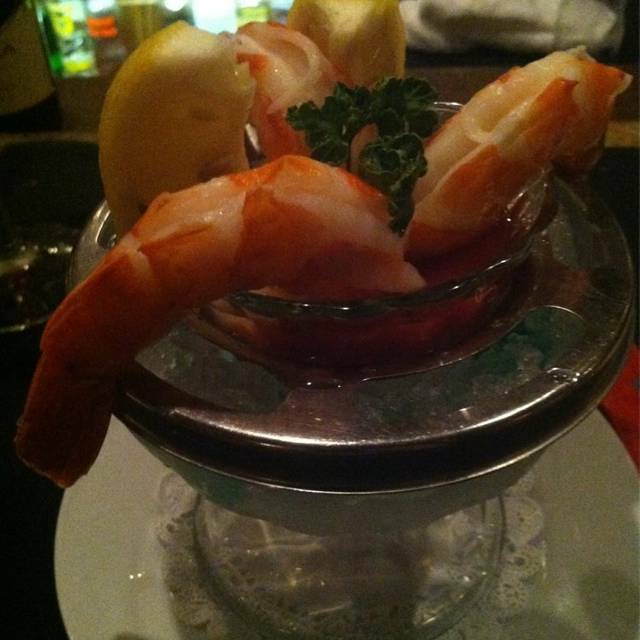 The ambiance was elegant, but a bit loud, and the service was impeccable. Thank you for a wonderful experience & meal. Sam and Tom have been our go to people for over 20 years. We love them and they make us feel like family.. Food quality was off the charts and always has been. Would never believe its in Mesquite Nevada. Truly the best that St George and mesquite has to offer. Table was available a little before our reservation time and was able to seat us. Service was excellent and food was great. As always. Our server Rubin was wonderful. Steaks cooked perfect. Food was great. We eat at Katherine’s every year when we come to Mesquite. Every dish is a winner but the lobster bisque is to die for. 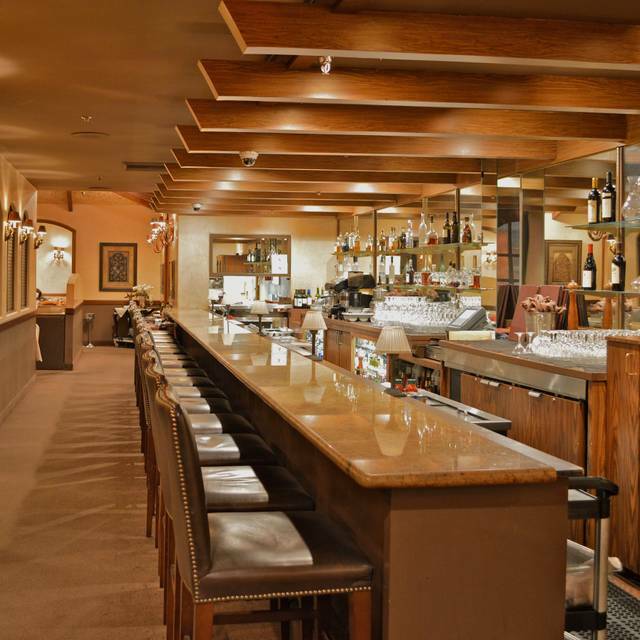 We never miss a chance to dine at Katherine’s steak house. Whenever we are in Mesquite we make reservations ASAP! The food and service are amazing! Noisy with golf groups. Second time we brought out of town guest for Stone Crab. None, she was do disappointed again. Should not advertise on TV flown in fresh everyday when they do not have it everyday. Local but afraid to bring friends again if they can't give us what they advertise. 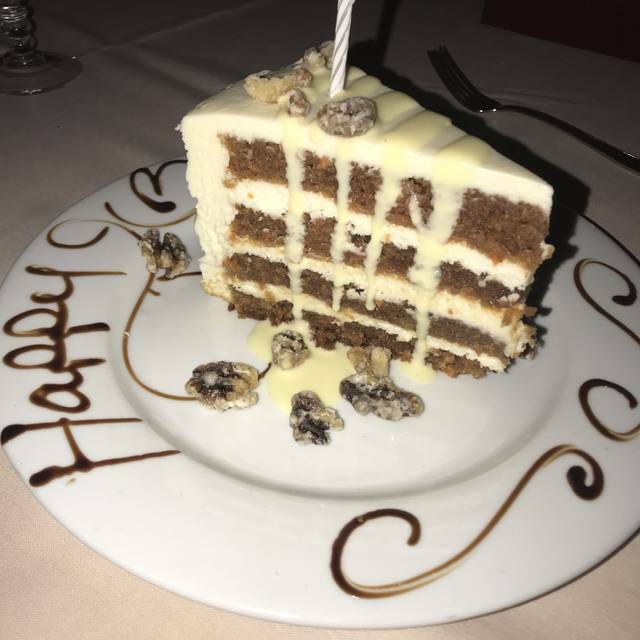 It had been a few years since I was at Katherine's; a recent trip afforded us an opportunity to celebrate our birthdays with a gourmet meal. Christie has been a long-time server and her excellent service hasn't diminished. She excels at tableside preparations of salad and dessert. 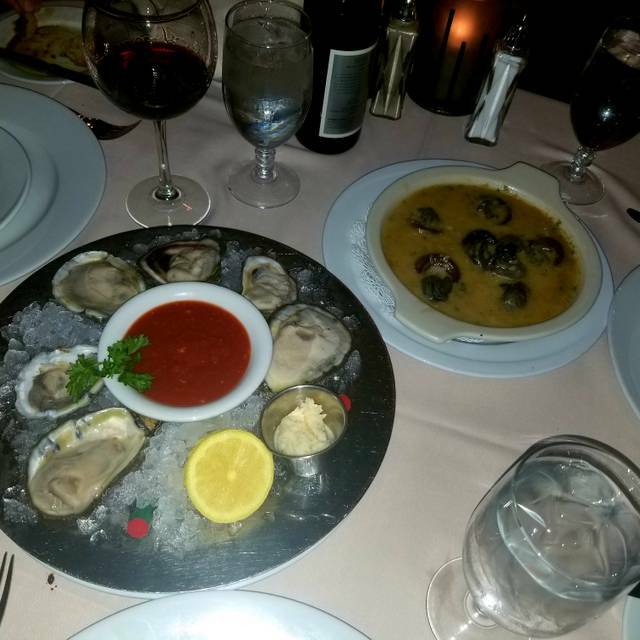 We splurged on the fresh stone crab, along with lobster and steak. Katherine's sauces are excellent, too. It was still as fantastic as I had remembered and every aspect was fantastic. Finominal restaurant. The food is always fresh & cooked to perfection. The service is friendly & professional. Will definitely be returning. I’ve been to Katherine’s many times and the food is always great. They cater to guys that are there for golf trips and therefore can be loud a bit crazy. Therefore, probably not the best choice for someone who wants ‘quiet romantic dinner’. We had such a person apparently who wanted it quiet and had altercation with them. That was only negative for the evening and Katherine’s would probably be served by warning people that it will not be quiet in the restaurant or create a walled off area for couples who want quiet. My spouse & I dined at Katherine’s for the first time on Sun April 7. We had the Crabcakes appetizer which were Outstanding. My wife enjoyed her Filet Oscar & I had Veal Piccata. It didn’t come with pasta on the side & I highly recommend ordering the linguini side with Piccata sauce. We finished off our meal by sharing the Molten Lava Cake...Delicious! The wine prices are very reasonable as well. We had a Wonderful Dining Experience! I highly recommend Katherine’s. I had the 10 oz prime rib with shrimp scampi special. 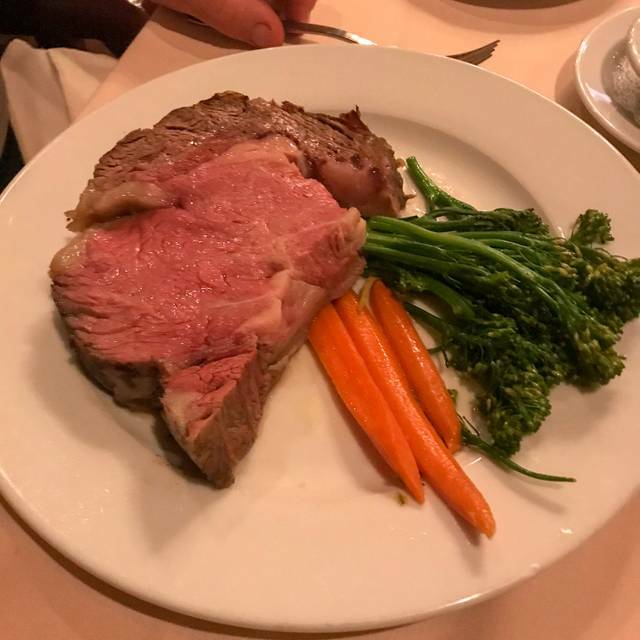 The prime rib was considerably larger and cooked (rare) perfectly. Melt in your mouth tender and butter soft. The shrimp had plenty of garlic and was absolutely delicious. They give you a small plate of olives and cheese. The cheese was wonderfully sharp. The crusty rolls were excellent and the butter was at the perfect temperature for spreading. 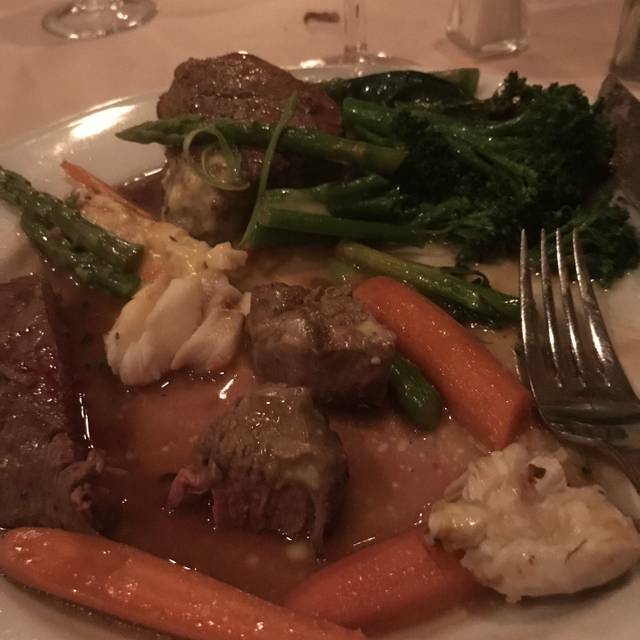 I highly recommend Katherine's Steakhouse. We love the atmosphere at Katherines. The pampering, handling, and preparation of the food is outstanding. Never disappointed. Meal was great and service, as usual, was greater. It was a little "golfer" noisy this time, but . . . . . It was really good food! The service was spot on. The drinks where strong. It is a little to dark due to low lighting but. I will be going back. Had a group of friends travel to Mesquite and had dinner. We had Reuben as a waiter and he was fantastic! 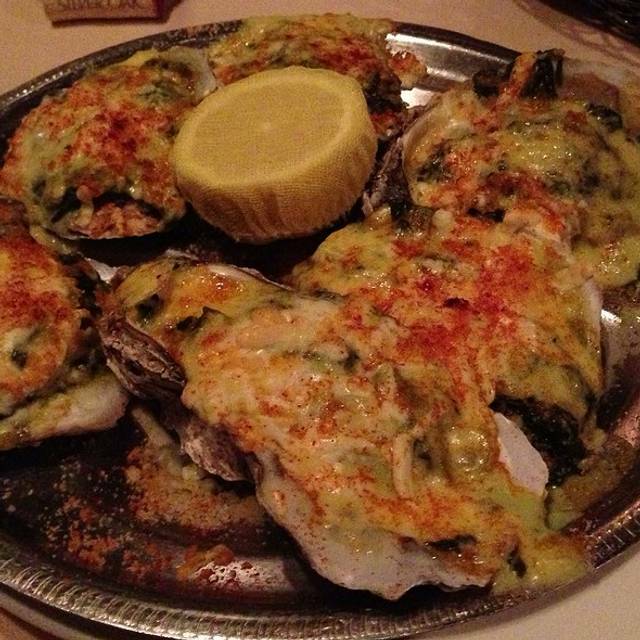 A few of us had the crab stuffed shrimp which I’d highly recommend. My parents had the spinach salad which was also delicious and there was enough for all 6 of us to have a little. Food is excellent here. We even ordered the warm spinach salad for an appetizer and it was done tableside which was so nice. I had the 8 oz. 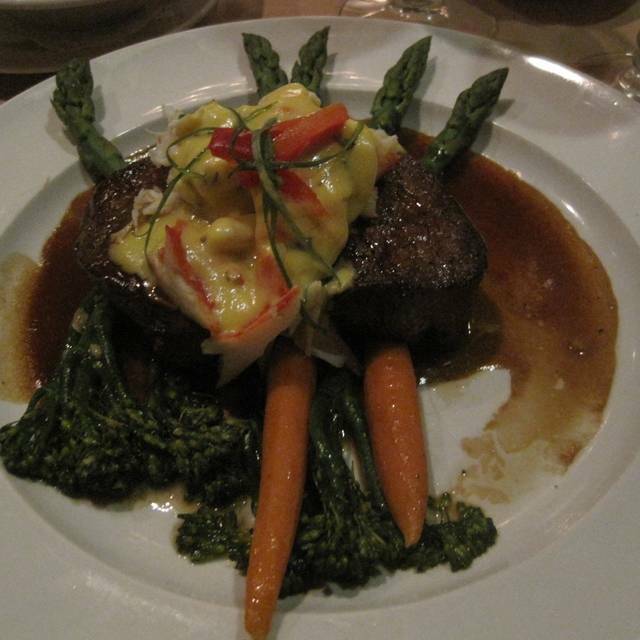 filet mignon for my entree and I thoroughly enjoyed it. It was cooked perfectly. When in Mesquite you should treat yourself to this restaurant! Felt like we were being rushed so tables could be turned. Was looking forward to a nice dinner and felt more like a chain restaurant. Food came out fast, however it was so salty couldn't eat it. Sauce and Salt seemed to be the main ingredient. Busboy was exceptional. I have been dining around the world for over 30 years. This is definitely one of my favorites considering price, vs. quality of food and taste. The service was exceptional. My daughter chose this restaurant to celebrate my 70th birthday and it was every bit a pleasure. Great Job. Our server Carlos was exceptional as usual and his assistant Robert was also top notch! The best steaks ever!!! Awesome service. Friendly staff. We will definitely come back. Way too much background noise from other LOUD tables. Really could not enjoy the company of our friends! We saved Katherine's for our last night of a five night golf trip. Well worth the wait. There isn't anything close to comparable in Mesquite. I had the Seafood Diablo which was excellent. (go figure in the desert) My buddies had Steaks which looked pretty darn good as well. Food was great but the service was better! Was wonderful as always! Took my Sister from Austin and my Mom and Daughter from Salt Lake City. I was telling them we have a great place to eat here and Everyone loved what they ordered! Our favorite place to dine! For some reason, the calamari in the Cioppino was a bit rubbery. Usually an excellent dish. 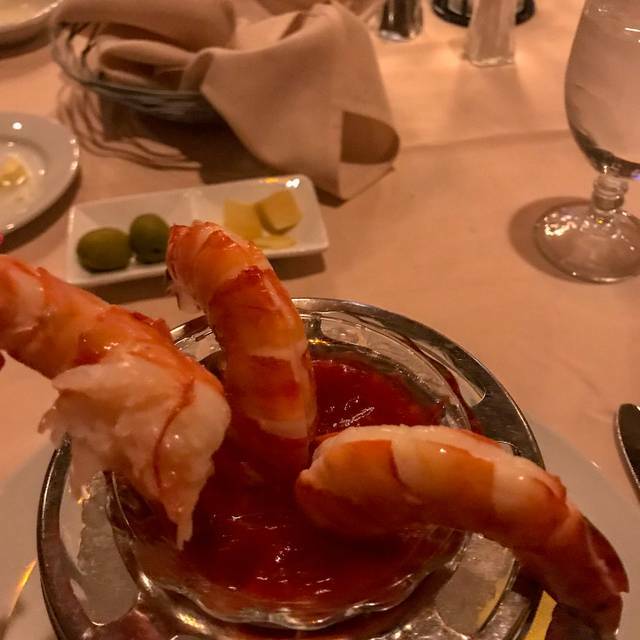 The rest of the seafood in the dish was just fine. Give it a try. We live going to Mesquite just to eat at Katherine’s It was Amazing as always! Spot on as usual, seafood diablo is my favorite !! We always ask for Ruban, he make the evening better, his personality is infectious. The place is a little noisy but it’s in a casino so that can be expected. The best food in the Mesquite/St George area. Always a treat. It was a good experience. Our first time there so didn’t know what to expect.